I'm wondering if there are any games with quadruple pawns, after finding such games, I started thinking of the possibility of quintuple pawns (high level preferably). 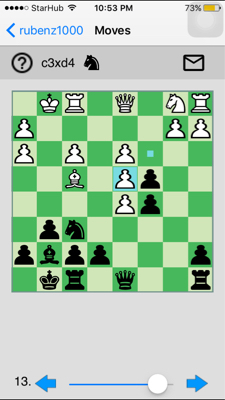 are there any games with such pawn structure, or generally any interesting pawn structure like the picture above? Also, as a side question, what is/are your pick on weirdest and most interesting pawn structure in a game you've played/found? According to Tim Krabbé, Kovacs - Barth, Balatonbereny 1994 was the game with the longest living quadrupled pawns (23 moves). That would imply that he (an authority when it comes to chess records) doesn't know of any games with quintupled pawns. Wikipedia mentions Alekhine-Nenarokov 1907 and van der Wiel-Hort 1981 as two (and by no means the only) games with quadrupled pawns. I can find no mention of quintupled pawns. Not the answer you're looking for? Browse other questions tagged pawn-structure or ask your own question. When to push centrals pawns? What resources (books, videos, websites) are there to help me improve my understanding of pawn structures?